Dr Simone Mandelstam is an associate Professor at the University of Melbourne department of Paediatrics and Radiology. 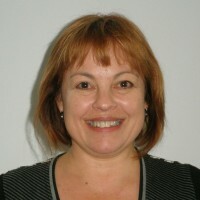 Dr Simone Mandelstam has worked on a number of projects for the Florey Institute of Neuroscience and Mental Health, involving advanced MRI techniques for further classification and delineation of congenital brain malformations and research into epilepsy imaging in children. Simone is based at the Royal Children’s Hospital as a senior specialist paediatric and epilepsy radiologist in the Department of Medical Imaging.